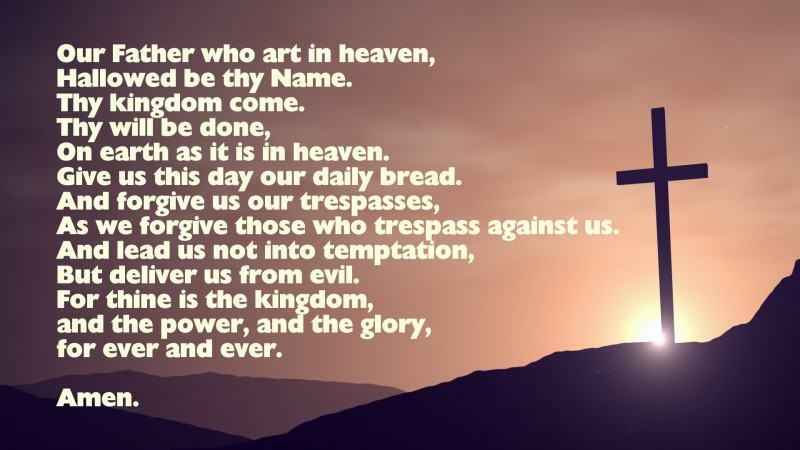 Where is the lord's prayer found in the bible? 2 Jesus said, `When you talk with God, say, "Our Father in heaven, may your name be kept holy. May your kingdom come. 3 Give us our food day by day. 4 Forgive us for the wrong things we have done. We forgive everyone who has done wrong to us. Do not lead us to be tested." the words to this prayer taken from the King James ("Authorized" version) of the scriptures (KJV). what does "thy will be done" mean? interpretations of this phrase by the writings of Albert Barnes, Matthew Henry & Adam Clarke. featuring a number of contemporary versions, including the Malotte hymn and a youtube interpretation by Prayerscapes. and extensive selection of prayers for healing, with prayers for surgery, overcoming fear, sick children and many other prayers. featuring a number of prayers for children to say in church or school, and links to prayers for morning and bedtime.